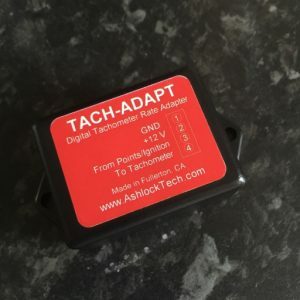 Don’t feed the Birds Part 12 – Digifiz! A quick history lesson for you before we get started on this episode. 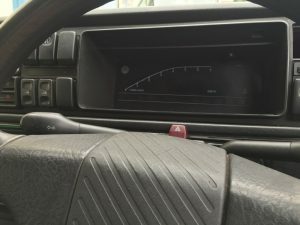 Back in the 80’s there was a phase of people wanting more futuristic looking dashboards in their car. 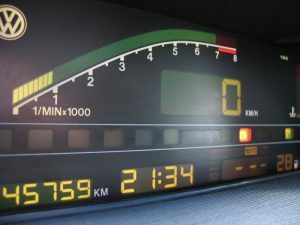 Think of the Astra GTE with it’s cool dash and even KITT from night rider and you are on the right kind of wavelength. Well VW wanted in on the action and produced the Digifiz! This is a very rare factory option that was only available in Germany as a special order. 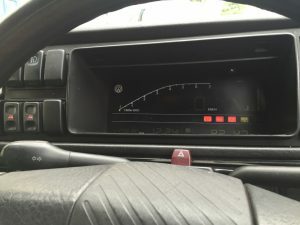 So special that the car had a different loom to the stock cars and included special dash, fog and heated window switches, along with a clock adjuster panel and a speed sender. 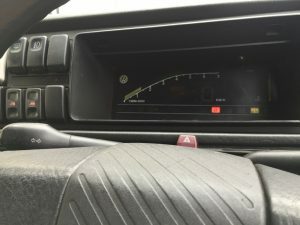 Up to this point I had been using Golf Mk3 clocks in my dash so that the RPM would read correctly and so I would have a working speedo. 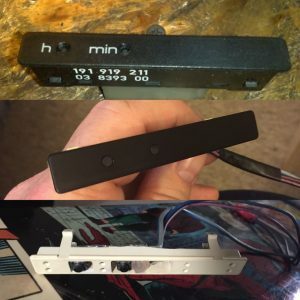 I had thought of using some Corrado VR6 clocks but when the suggestion of Digifiz came up from my friend Walt, it had to be done. So I sold a frankly broken motorbike and used the money to buy the Digifiz. It came with the plugs for the dash but nothing else. I had to make the rest! Using a couple of resources online I created a loom to plug into my CE2 fusebox. Normally the Digifiz is CE1, I don’t like to make things too easy! Remember the clock adjustment panel. Well I didn’t want to spend £100 on one of those, so I made my own one of them too. 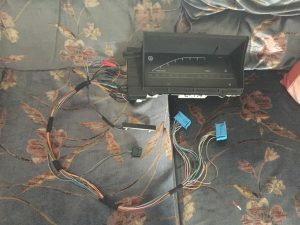 I also hooked up my normal Fog and Heated rear window switches to the loom so the indicator lamps worked in the dash too! It did need some replacement bulbs for the display but I was glad to say it worked fine. Not the easiest thing to take a picture of! Now the Digifiz is only expecting a four cylinder input for the rev counter, where as I have a 6 cylinder input, which worked, but the RPM figures were wrong. So, I had to buy a little box from the US of A to get it to work, but its a dream! This simply sat between the Digifiz and the RPM wire on the loom and converted from 3 pulses per rev to 2 pulses per rev. Checked it against the RPM shown by the ECU and it’s spot on! Oh and Bob that makes them, a real good guy, he was coming to the UK on his holidays and brought a box over for me in his luggage saving me shipping and tax! What a guy! Very happy with the outcome and they look awesome. I think they might be my favourite part of the car! Next time…. you thought we might be done with the interior.. not quite. Next Post: Don’t feed the Birds Part 13 – Finish the interior?